A house for the body, a home for the soul. 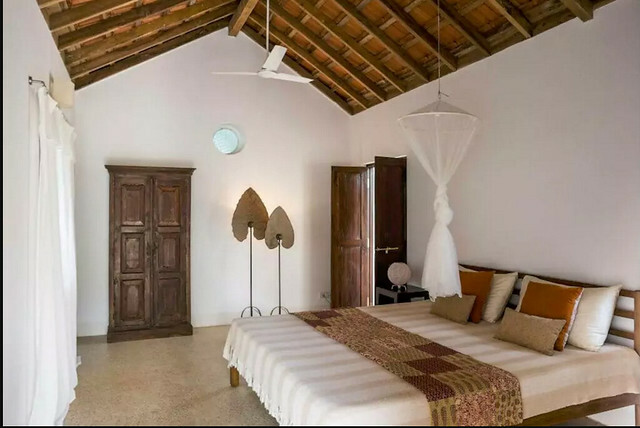 The Goan properties featured below are thus introduced on Airbnb. Unseasonal showers in Bangalore today; the famed Bangalore weather is back, it can’t get more romantic than this, and I can’t help but dream of a vacation. 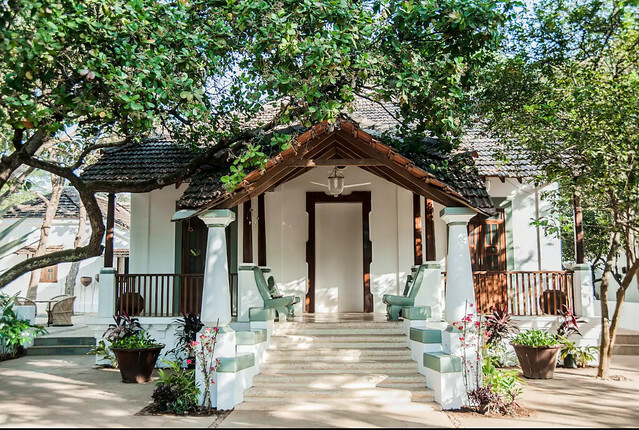 We’ve been to Cidade De Goa and Dona Sylvia in the past. 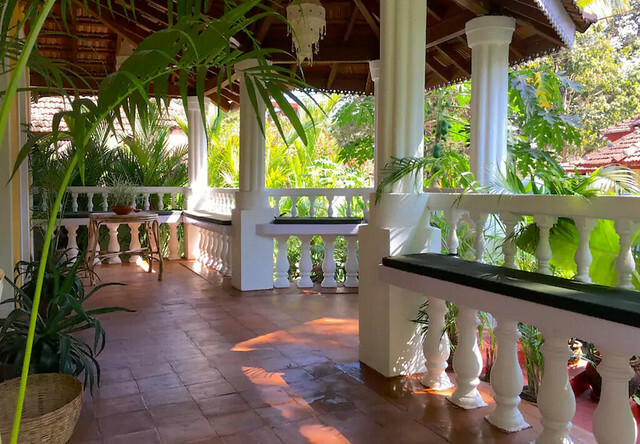 Most properties in Goa are drop-dead gorgeous, but the ones below are also inspiring for their decor. Now, isn’t that a bonus as you soak in the sun, the sights and sounds of the sea, the swaying palms, the feel of the sand under your feet, and the colors assaulting your senses? I can never seem to have enough of a coastal vacation. Let’s begin our vacation..if only virtually! 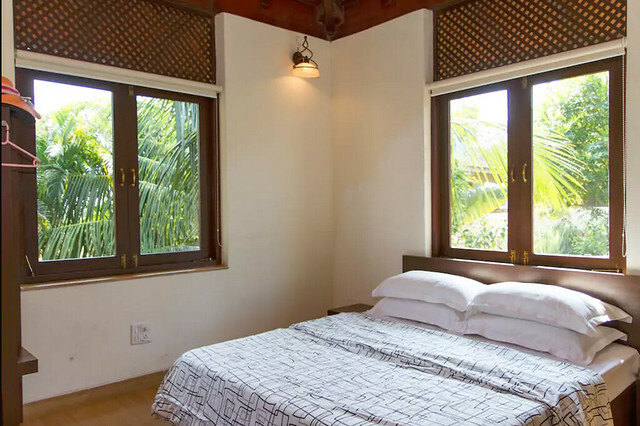 This house is listed as one with spectacular views of migratory birds and wildlife. 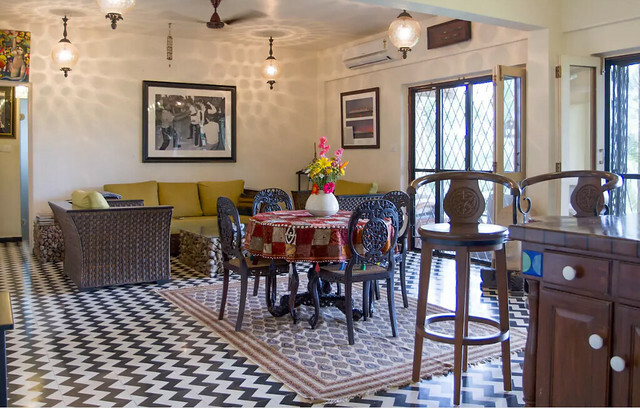 What I heart in this one is the Chevron tiled flooring and the old-world charm it flaunts in its decorating style. 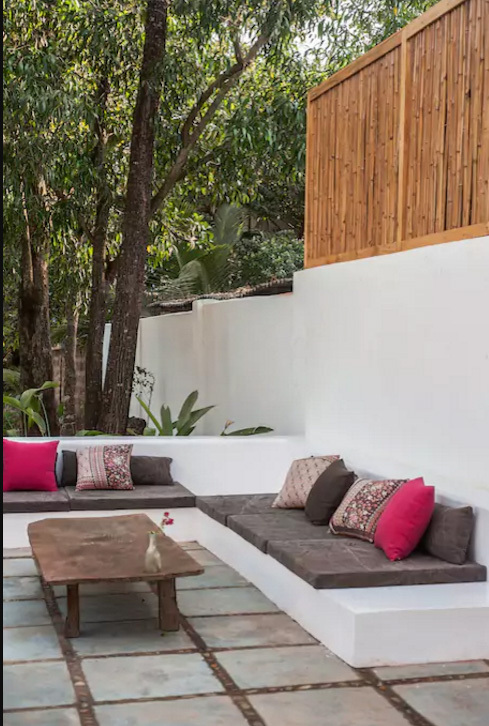 This slice of paradise overlooks a private garden, a hint of which can be seen in the picture below. 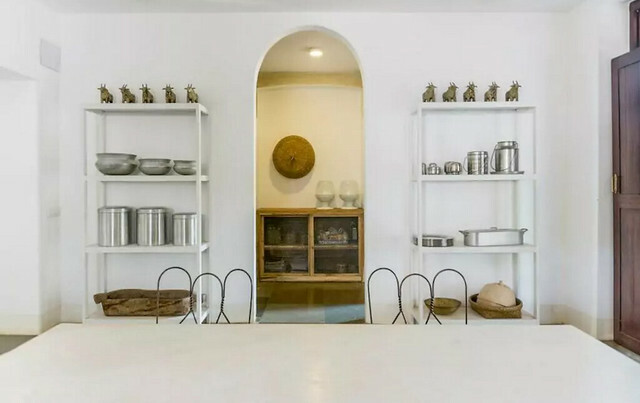 I heart its no-frills decorating, minimal style where the greenery and the traditional wooden decor hold their own…I count it as a place to just be. I’m drawn towards this one for its nostalgic feeling of ancestral homes. The best had to be saved for the last. 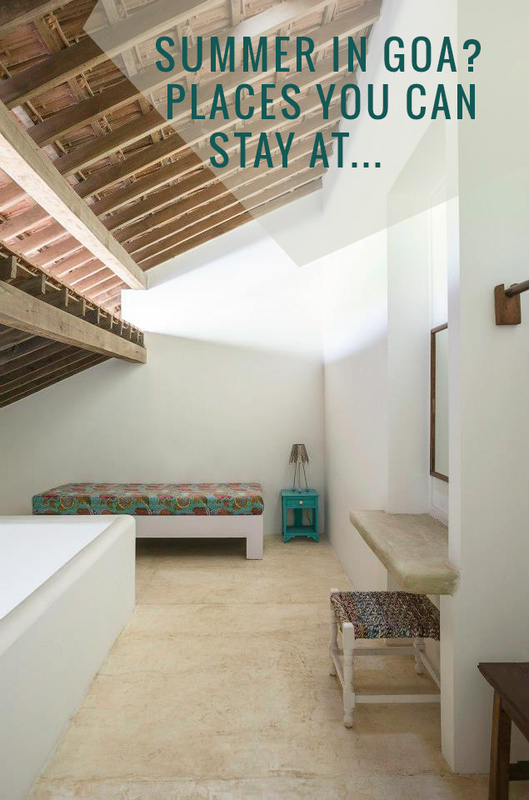 Tara Verde is introduced as “a house for the body, a home for the soul.” This one was a love at first sight. 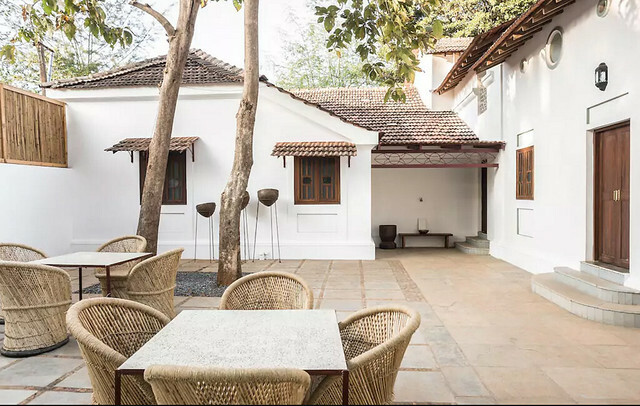 I was so captivated by the front porch and the courtyard of this renovated 1850 Portuguese colonial building, that I kept wanting to see more and more of this property. 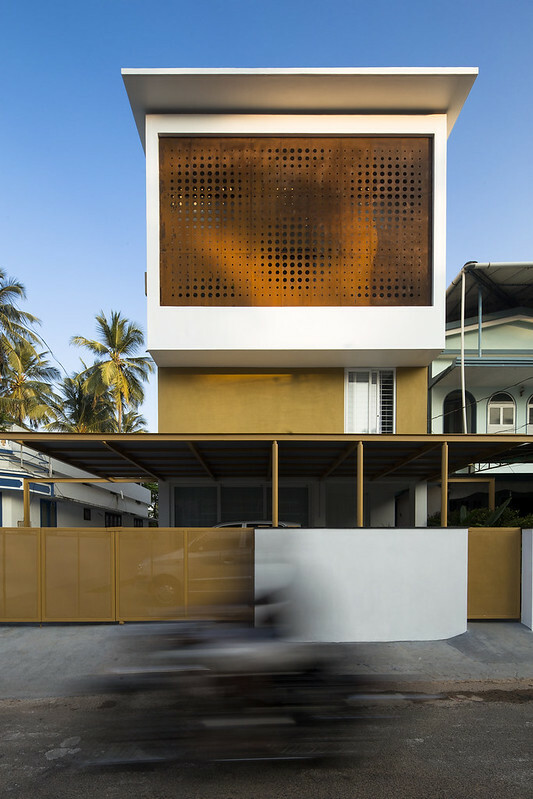 The house has been constructed using recycled materials. Disclaimer: I have not experienced any of these places personally and hence not to be treated as a recommendation. This is not sponsored content.